Women have been rabbis for over forty years. No longer are women rabbis a unique phenomenon, rather they are part of the fabric of Jewish life. In this anthology, rabbis and scholars from across the Jewish world reflect back on the historic significance of women in the rabbinate and explore issues related to both the professional and personal lives of women rabbis. 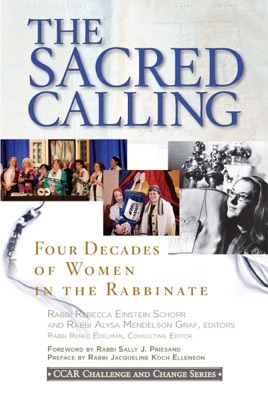 This collection examines the ways in which the reality of women in the rabbinate has impacted on all aspects of Jewish life, including congregational culture, liturgical development, life cycle ritual, the Jewish healing movement, spirituality, theology, and more.